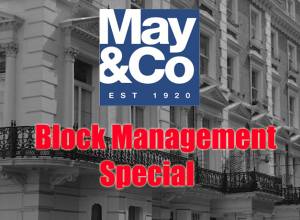 Block Management - Managing Your Block of Flats - May & CoMay & Co.
Block Management Special – Should you self manage your block? Generally speaking, the most compelling and common reason is to get rid of the landlord. Some leaseholders are suffering from mismanagement of their property and want to put an end to high service charges. Others want to have a greater say in how the building is managed and save money in terms of maintenance and repairs. This makes sense. After all leaseholders have forked out thousands of pounds to own to their own properties and want to have a stake in how their block of flats is managed. No matter who manages the block of flats, the actual management is carried out through a private limited company (RTM; Right to manage company, see also: https://www.gov.uk/set-up-property-management-company). As a company, you will be bound by Company House guidelines and you will have to appoint a board of directors. Time has to be set aside for board meetings and other duties such as compiling and submitting annual returns. The board of directors will be responsible for the day to day running of the company and has to make sure that the company stays solvent. So leaseholders who regularly avoid paying their share could jeopardise the solvency of the company. There is no standard lease. Each lease contains different covenants. Leaseholders who manage their own building have to ensure that they fully understand the lease and that all the covenants are being enforced. Failure to do so can result in legal action or tenants withholding rent. Lessees’ usually have the right of “quiet enjoyment” of their flat, and a management company would have to ensure that this has not been breached. At the other side of the spectrum the management company would also have to make sure that the tenants or leaseholders have not neglected their duties. These breaches might include subletting without permission or carrying out unauthorized building work. Would you for example know what to, if a tenant failed to pay their service charge, because of redundancy? Or, how would you deal with antisocial behaviour by one of the tenants? This not only requires an in-depth knowledge of the law and how to enforce it but it can also be very awkward to deal with fellow leaseholders and neighbours over breaches of the lease or other sensitive issues. Ignorance of law is, of course, no excuse. Failure to comply with the different laws and regulations might not just result in a substantial fine but a prison sentences for those responsible for the upkeep of a building. 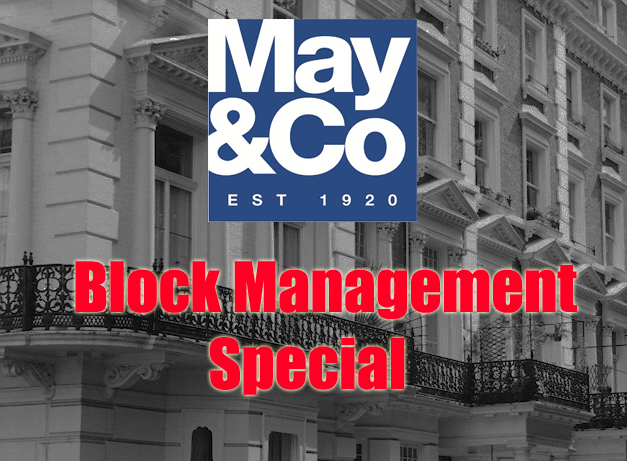 At May & Co we understand that you want to be in the driving seat, when it comes to managing your block of flats. We are an accredited Block Management Company and can offer you a flexible approach. This allows you to select the level of service you require. You choose. We can do all of the block management for you or just the parts you don’t want to do.